Turbochargers and injectors for all brands. For over 10 years we have remanufactured turbochargers and injectors. Our qualified and professional team work to ensure all our products are 100% ready to install and work just as efficiently as when brand new. We dont allow half measure; quality is of utmost importance to us! 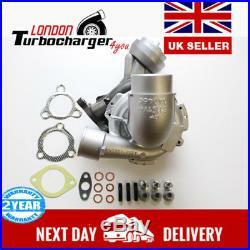 London Turbocharger 4you 213-217 London Rd Staines-upon-Thames Middlesex, TW18 4HL Great Britain Company Number: 9569840 VAT number: GB213 8333 31. 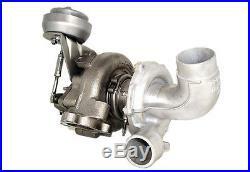 Turbocharger VB19 VB21 VB26 TOYOTA AURIS AVENSIS COROLLA PREVIA RAV 4 VERSO 1AD FTV D4D. AURIS, AVENSIS, COROLLA, PREVIA, RAV-4, VERSO. 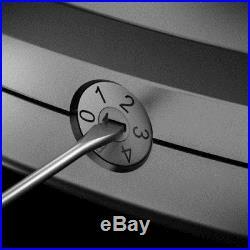 The price of the turbocharger does not include the refundable deposit. After receiving a new product from us, you have to return your old unit within 14 days. Our company uses the best regeneration equipment available on the market. For setting balancing core, variable geometry, checking pneumatic and electric valves we use as many as four kinds of machines. We work only on new components from the best companies producing turbochargers parts such as Mellet and Kode. For balancing core of turbochargers we use VSR301 machines, valued and well-known British company named TURBOTECHNICS. 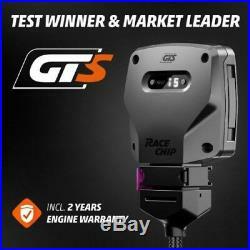 G3 Concepts – high precision calibration tool created by three engineers working for GARRETT. This machine was developed specially for the turbocharger re-manufacturing industry. APD-1 by MICROELECTRONIKS – the professional device designed for reprogramming Hella electronic actuators used in Garrett turbochargers. ACTUTEST4000 – balancing machine designed for testing and calibration of electronic actuators and pneumatic actuators for turbochargers made by the valued Polish company. Watch the video how we work. They should be refreshed with an oil filter replacement every 5500 miles. Just before the turbocharger is installed, engine oil, oil filter and air filter must be replaced. In the case of accepted complaints, a written request for the return of documented disassemble cost for turbocharger cannot exceed 20% of the contract value. Guarantee becomes void when: I. Engine in which the turbocharger was installed is in a poor technical condition 1. Lubrication unit malfunction – low or too high oil pressure – too long period of oil suction by the pump oil (over 5 seconds) – contaminated oil 2. Impeded oil flow from the turbocharger – blow-through in the piston system, overpressure above 50 millimeters water column – obstruction of the evaporative system, overpressure above 50 millimeters water column – too high oil level – obstruction of turbocharger drain cable 3. Improper combustion too high temperature of exhaust fumes 4. Leaking suction system II. There was a mechanical damage of turbochargers elements III. Silicone was used to seal oil cables IV. Pressure decrease in the filter is greater than 500 mm water column V. The turbocharger was run in a way that is not compliant to the installation manual VI. The turbocharger was used not in a proper was (irregular oil refreshment, irregular oil filter or air filter replacement, usage of poor quality oil and gasoline, self-attempts to repair and adjust the product). Suggested scope of actions during turbocharger installation. Incase of detecting the following damages in the initially installed turbocharger. Increased rotor radial and axial clearance. Blades rub both sides of the casings, worn out bearings. Clean the suction and exhaust system, replace air filter, ensure that catalyst is not occluded – clean engine crankcase – clean or replace oil pump filter – check the condition of oil pump with overflow valve – check the condition of oil pan, replace if dents are found – clean or replace oil supply and drain line from turbocharger and overflow screws – replace oil filter – fill the engine with oil status max. Increased rotor axial (longitudinal) clearance – repair the leak in the suction system and intercooler. Check if the turbocharger is not overloaded, and if the engine power is not significantly increased possible cause. If the oil leak is detected with no increase in rotor clearance. Improve, clean, replace evaporative system of a crankcase (breather) -make sure that air filter is clean -make sure that oil drain line from turbocharger is not occluded -check the volume of blow-through of the piston system; if they are too strong, repair the engine -make sure that the max. Oil level in the engine is not exceeded – check the passability of exhaust fume system. Noise coming from turbocharger. It is forbidden to continue driving with turbocharger loud operation! Check rotor clearance and whether there was no mechanical damage – eliminate leakage in suction pipes and in the intercooler – eliminate the leakage of exhaust fume system – make sure that turbocharger, manifolds, and suction system connections are leakproof. Mechanical damage of blades. Find and eliminatethe cause of foreign matter falling in – clean intake and exhaust fume system – check whether turbocharger is not overloaded (solenoid efficiency, leak proof suction system). Prior to running the turbocharger you must fix the defect that caused the turbocharger to be repaired or replaced. Refresh oil in the engine and replace the oil filter. Clean/replace the line supplying oil to the turbocharger, make sure that there is no sieve or filter inside (replace or remove) Replace air filter and remove all contamination from intake system. Comply with the guarantors recommendations. 3 cm3 of clean engine oil inside the turbocharger body through the oil supply hole. During injection, rotate the rotor in order to distribute oil inside the turbine. Install the turbocharger without connecting the supply and outflow line (to the turbocharger) of oil (to the engine). Rotate the engine without starting it! Disconnect the injection pump move ca. 1 liter of oil from supply line to the vessel. Then, screw in the supply line, allowing for a little unsealing, rotate the engine to the moment, when the oil with no air appears on the unsealing, and tighten the supply line. Placea vessel under the oil outlet from the turbocharger and rotate the enginetill the oil appears. Tightenthe oil-to-engine outflow line (new seal) -start the engine and leave for 3060 seconds in neutral position -perform a trial drive to make sure that everything works properly -after driving for 30-100 miles we recommend refreshing the oil again and replacing the oil filter. WHEN INSTALLING THE TURBOCHARGER, DO NOT USE SEALING SILICONESAND SPREADS BETWEEN THE EXHAUST MANIFOLD AND TURBOCHARGER. 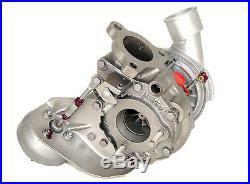 By purchasing and fitting this turbocharger you agree to all the above terms and conditions of sale. GUARANTEE TERM AND CONDITIONS. The guarantee is valid for 24 months. The complaint will be processed on the condition that the turbocharger is not disassembled or cleaned by the user. The guarantor reserves the right to bring the vehicle in which the turbocharger is used in order to control the operation of the turbocharger and the engine. 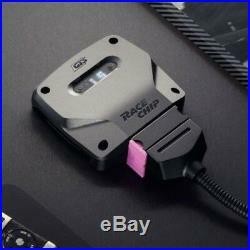 Your turbocharger cartridge housing and inside parts will be blue colour. This is a symptom of overheating which is the sign of the oil starvation. If your turbocharger service seals are broken, unless you have prior permission from us in. 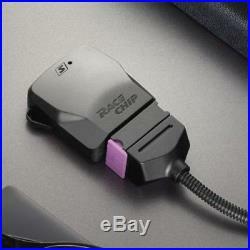 If your vehicle ECU was remapped. In order to guarantee turbochargers reliable operation, the engine oils of high lubricating properties must be used and refreshed together with an oil filter replacement every 7500 miles. In case of semi-synthetic and mineral oils, they should be refreshed with an oil filter replacement every 5500 miles. Guarantee becomes void when. Engine in which the turbocharger was installed is in a poor technical condition. Low or too high oil pressure. Too long period of oil suction by the pump oil (over 5 seconds). Impeded oil flow from the turbocharger. Blow-through in the piston system, overpressure above 50 millimetres water column. Obstruction of the evaporative system, overpressure above 50 millimetres water column. Too high oil level. Obstruction of turbocharger drain cable. Improper combustion too high temperature of exhaust fumes. 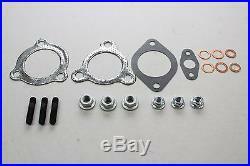 There was a mechanical damage of turbochargers elements. Silicone was used to seal oil cables. Pressure decrease in the filter is greater than 500 mm water column. The turbocharger was run in a way that is not compliant to the installation manual. This is a symptom of. Overheating which happens because of oil starvation. GUARANTEE TERM AND CONDITIONS! WHEN INSTALLING THE TURBOCHARGER, DO NOT USE SEALANT, SILICONES AND SPREADS BETWEEN THE EXHAUST MANIFOLD AND TURBOCHARGER. Undamaged, in their original and undamaged packaging, unprimed and complete with all tags attached. 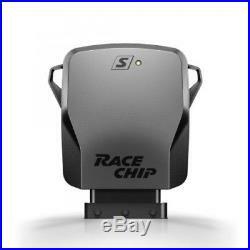 The unit must be in complete condition and if it comes with the electronic actuator, then it’s plug must not be broken. The item “TURBO Turbocharger VB19 VB21 VB26 TOYOTA Avensis Auris Previa 2.0 D-4D 126HP” is in sale since Monday, April 9, 2018. 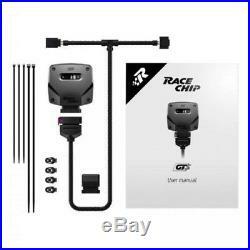 This item is in the category “Vehicle Parts & Accessories\Car Parts\Turbos & Superchargers\Turbochargers & Parts”. 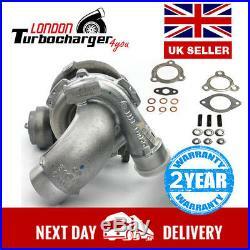 The seller is “londonturbocharger4you” and is located in Virginia Water. This item can be shipped to United Kingdom, Austria, Belgium, Bulgaria, Croatia, Cyprus, Czech republic, Denmark, Estonia, France, Germany, Greece, Hungary, Ireland, Italy, Latvia, Lithuania, Luxembourg, Malta, Netherlands, Poland, Portugal, Romania, Slovakia, Slovenia, Spain, Sweden, Australia, United States, Canada, Brazil, New Zealand, Mexico, Switzerland, Chile. Part numbers: VB19, VB21. 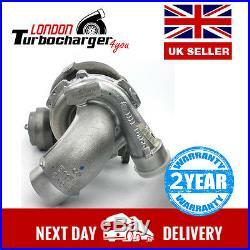 DUE TO HIGH VALUE OF THE TURBOCHARGER WE REQUIRE 100 POUNDS SURCHARGE PAID VIA PAY PAL OR BANK TRANSFER BEFORE ITEM WILL BE DISPATCHED. IT MUST NOT BE DISASSEMBLED AND MUST BE A COMPLETE UNIT WITH THE ACTUATOR. ANY UNITS WITH HOUSING OR ACTUATOR DAMAGE WILL NOT BE ACCEPTED. CRUSHED OR SMASHED TURBOCHARGERS WILL NOT BE ACCEPTED (INVOLVED IN AN ACCIDENT). Please let us know the day and time most convenient to you when you place your order. Most deliveries are made by UPS. Please call the office on 01536 601020 for prices. 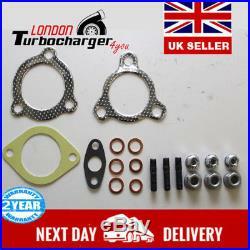 At Fast Turbo we aim to provide high quality parts and outstanding service at reasonable price. We are here to help and we appreciate your business. FAST TURBO LTD is located in the heart of Northamptonshire with easy access to both the A14 and A43 or a 50 minute drive from Birmingham. Being situated next to major transport links allows us to offer our customers a second to none turbo distribution service or a professional and quick counter service. 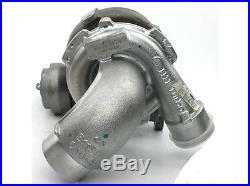 We specialize in new and reconditioned turbochargers at competitive prices. All turbines are professionally balanced by professional quality staff on the best quality electronic dynamic balancers. The item “Toyota Auris Avensis 2.0 D-4D 126hp VB19 VB21 17201-26051 Turbocharger Turbo” is in sale since Tuesday, May 26, 2015. 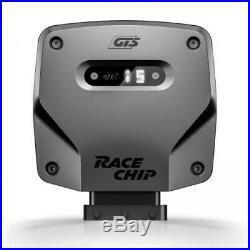 This item is in the category “Vehicle Parts & Accessories\Car Parts\Turbos & Superchargers\Turbochargers & Parts”. 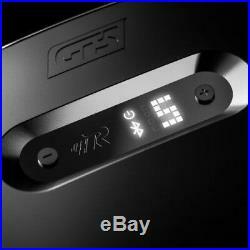 The seller is “fastturboltd” and is located in Corby. 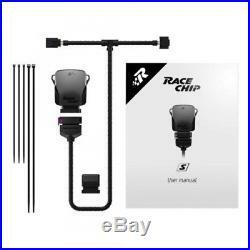 This item can be shipped to United Kingdom, Austria, Belgium, Bulgaria, Croatia, Cyprus, Czech republic, Denmark, Estonia, Finland, France, Germany, Greece, Hungary, Ireland, Italy, Latvia, Lithuania, Luxembourg, Malta, Netherlands, Poland, Portugal, Romania, Slovakia, Slovenia, Spain, Sweden, Australia, United States, Russian federation, Canada, Brazil, Japan, New Zealand, Israel, Hong Kong, Norway, Malaysia, Mexico, Singapore, South Korea, Switzerland, Taiwan, Thailand, Chile. Turbochargers and injectors for all brands. For over 10 years we have remanufactured turbochargers and injectors. Our qualified and professional team work to ensure all our products are 100% ready to install and work just as efficiently as when brand new. We dont allow half measure; quality is of upmost importance to us! 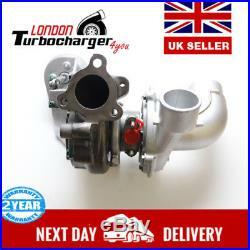 London Turbocharger 4you 213-217 London Rd Staines-upon-Thames Middlesex, TW18 4HL Great Britain Company Number: 9569840 VAT number: GB213 8333 31. 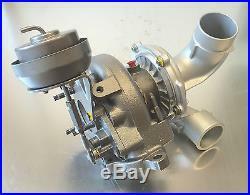 Turbocharger VB 19 VB 21 VB 26 TOYOTA AURIS AVENSIS COROLLA PREVIA RAV 4 VERSO 1AD FTV D4D. AURIS, AVENSIS, COROLLA, PREVIA, RAV-4, VERSO. After receiving a new product from us, you have to resend your old turbine within 14 days. As soon as we get your package you will receive your deposit to your account. Our company uses the best regenaration equipments available on the market. For setting balancing core, variable geometry, checking pneumatic and electric valves we use as many as four kind of machines. We work only on new components from the best companies producing turbochargers parts such as Mellet and Kode. For balancing core of turbochargers we use VSR301 machines, valued and well-known British company named TURBOTECHNICS. G3 Concepts – high precision calibration tool created by three engineers working for GARRETT. This machine was developed specially for the turbocharger re-manufacting industry. APD-1 by MICROELECTRONIKS – professional device designed for reprogramming Hella electronic actuators used in Garrett turbochargers. ACTUTEST4000 – balancing machine designed for testing and calibration of electronic actuators and pneumatic actuators for turbochargers made by valued Polish company. Watch the video how we work. GUARANTEE TERM AND CONDITIONS. The guarantee is valid for 24 months. The complaint will be processed on the condition that the turbocharger is not disassembled or cleaned by the user. The guarantor reserves the right to bring the vehicle in which the turbocharger is used in order to control the operation of the turbocharger and the engine. In order to guarantee turbochargers reliable operation, the engine oils of high lubricating properties must be used and refreshed together with an oil filter replacement every 7500 miles. In case of semi-synthetic and mineral oils, they should be refreshed with an oil filter replacement every 5500 miles. Just before the turbocharger is installed, engine oil, oil filter and air filter must be replaced. In the case of accepted complaints, a written request for the return of documented disassemble cost for turbocharger cannot exceed 20% of the contract value. Guarantee becomes void when: I. Engine in which the turbocharger was installed is in a poor technical condition 1. Lubrication unit malfunction – low or too high oil pressure – too long period of oil suction by the pump oil (over 5 seconds) – contaminated oil 2. Impeded oil flow from the turbocharger – blow-through in the piston system, overpressure above 50 millimeters water column – obstruction of the evaporative system, overpressure above 50 millimeters water column – too high oil level – obstruction of turbocharger drain cable 3. Improper combustion too high temperature of exhaust fumes 4. Leaking suction system II. There was a mechanical damage of turbochargers elements III. Silicone was used to seal oil cables IV. Pressure decrease in the filter is greater than 500 mm water column V. The turbocharger was run in a way that is not compliant to the installation manual VI. The turbocharger was used not in a proper was (irregular oil refreshment, irregular oil filter or air filter replacement, usage of poor quality oil and gasoline, self-attempts to repair and adjust the product). Suggested scope of actions during turbocharger installation. Incase of detecting the following damages in the initially installed turbocharger. Increased rotor radial and axial clearance. Blades rub both sides of the casings, worn out bearings. Clean the suction and exhaust system, replace air filter, ensure that catalyst is not occluded – clean engine crankcase – clean or replace oil pump filter – check the condition of oil pump with overflow valve – check the condition of oil pan, replace if dents are found – clean or replace oil supply and drain line from turbocharger and overflow screws – replace oil filter – fill the engine with oil status max. Increased rotor axial (longitudinal) clearance – repair the leak in the suction system and intercooler. Check if the turbocharger is not overloaded, and if the engine power is not significantly increased possible cause. If the oil leak is detected with no increase in rotor clearance. Improve, clean, replace evaporative system of a crankcase (breather) -make sure that air filter is clean -make sure that oil drain line from turbocharger is not occluded -check the volume of blow-through of the piston system; if they are too strong, repair the engine -make sure that the max. Oil level in the engine is not exceeded – check the passability of exhaust fume system. Noise coming from turbocharger. It is forbidden to continue driving with turbocharger loud operation! Check rotor clearance and whether there was no mechanical damage – eliminate leakage in suction pipes and in the intercooler – eliminate the leakage of exhaust fume system – make sure that turbocharger, manifolds, and suction system connections are leakproof. Mechanical damage of blades. Find and eliminatethe cause of foreign matter falling in – clean intake and exhaust fume system – check whether turbocharger is not overloaded (solenoid efficiency, leak proof suction system). Prior to running the turbocharger you must fix the defect that caused the turbocharger to be repaired or replaced. Refresh oil in the engine and replace the oil filter. Clean/replace the line supplying oil to the turbocharger, make sure that there is no sieve or filter inside (replace or remove) Replace air filter and remove all contamination from intake system. Comply with the guarantors recommendations. 3 cm3 of clean engine oil inside the turbocharger body through the oil supply hole. During injection, rotate the rotor in order to distribute oil inside the turbine. Install the turbocharger without connecting the supply and outflow line (to the turbocharger) of oil (to the engine). Rotate the engine without starting it! Disconnect the injection pump move ca. 1 liter of oil from supply line to the vessel. Then, screw in the supply line, allowing for a little unsealing, rotate the engine to the moment, when the oil with no air appears on the unsealing, and tighten the supply line. Placea vessel under the oil outlet from the turbocharger and rotate the enginetill the oil appears. Tightenthe oil-to-engine outflow line (new seal) -start the engine and leave for 3060 seconds in neutral position -perform a trial drive to make sure that everything works properly -after driving for 30-100 miles we recommend refreshing the oil again and replacing the oil filter. WHEN INSTALLING THE TURBOCHARGER, DO NOT USE SEALING SILICONESAND SPREADS BETWEEN THE EXHAUST MANIFOLD AND TURBOCHARGER. 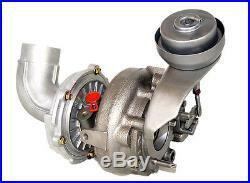 The item “TURBO Turbocharger VB 19 TOYOTA AURIS AVENSIS COROLLA PREVIA RAV 4 VERSO 126HP” is in sale since Monday, February 08, 2016. 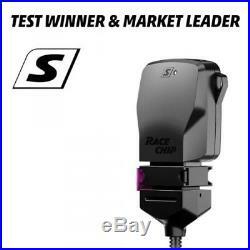 This item is in the category “Vehicle Parts & Accessories\Car Parts\Turbos & Superchargers\Turbochargers & Parts”. 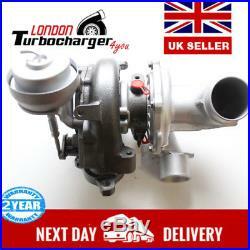 The seller is “londonturbocharger4you” and is located in Virginia Water. This item can be shipped to United Kingdom, Austria, Belgium, Bulgaria, Croatia, Cyprus, Czech republic, Denmark, Estonia, Finland, France, Germany, Greece, Hungary, Ireland, Italy, Latvia, Lithuania, Luxembourg, Malta, Netherlands, Poland, Portugal, Romania, Slovakia, Slovenia, Spain, Sweden, Australia, United States, Canada, Brazil, New Zealand, Norway, Mexico, Switzerland, Chile.